Every time I’m on a set or grabbing coffee with another local filmmaker, we always end up talking gear for a bit, and inevitably the question comes up of “What camera would you buy if you had to buy right now, and why?” I decided to research things a bit and put together an article that explains what I’d buy if I absolutely had to right now, and the answer might surprise you. First, let me just define a few parameters. I’m going to look at 4K-capable cameras that can capture internally, and cost less than $10,000. To further refine the list, fixed-lens cameras will not be listed, but don’t disregard them. 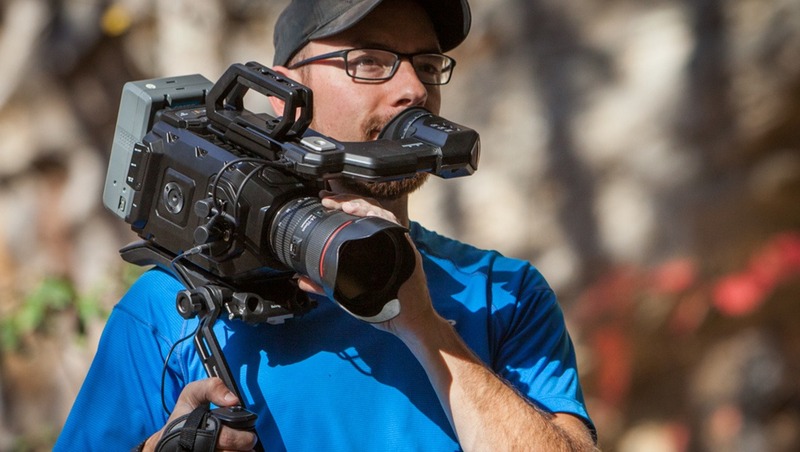 They still serve a lot of event productions and run-and-gun shooters should really consider them a viable option when speed and versatility are more important than being able to change lenses. 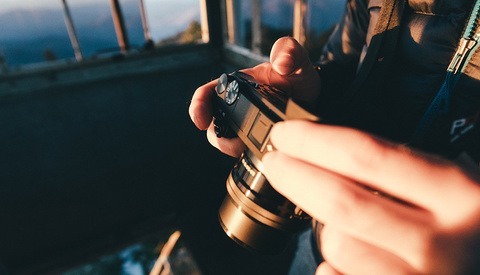 I'll also being leaving DSLR-style cameras off the list, even though they are a popular choice. I wanted to keep the comparison as direct as possible. Here’s a chart to get us started which should give us a quick glance at some major specs and price points. Below, I’ll hit on key points, note any special considerations, and finally end with my suggested picks for the kind of videographer or filmmaker you might be. Funny enough, for a camera that has been around for this long, it is one of the most popular on the list. Owning and operating a C300 is requested often from freelance producers, and it’s for a good reason. A high-bit rate, great DR, and simultaneous proxy recording gives it a nice feature set, and when paired with Canon’s own glass, it makes it an easy choice for photographers who want to get into video and already own expensive L-series lenses. While the price has dropped several times on this camera to keep it competitive, we might not be far away from seeing a Mark III version, especially when its little brother boasts raw video recording and an all new touchscreen LCD. A relatively new entry into the market, this camera has both great specs and terrible specs at the same time. 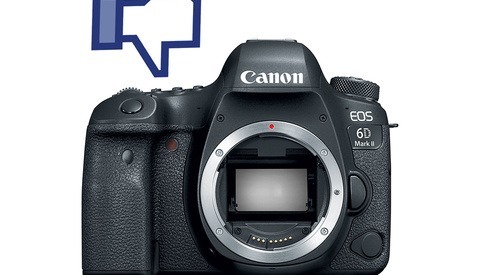 Most people will compare it directly to the C300 Mark II, and for good reason. While only a few thousand dollars separates their price, the C200 boasts improved processing, new autofocus features, and is able to capture a “cinema raw light” format. For those not interested in 4K raw though, the 1080p capture tops out at a paltry 35 Mbps. Even the three-year-old GH4 can do 1080p at 200 Mbps, so that’s a bit of a let down. If you’re doing film work, already own L-series lenses, and want to have great latitude to grade your final images, this camera is a steal. But know that 4K raw is going to need a lot storage room in post. 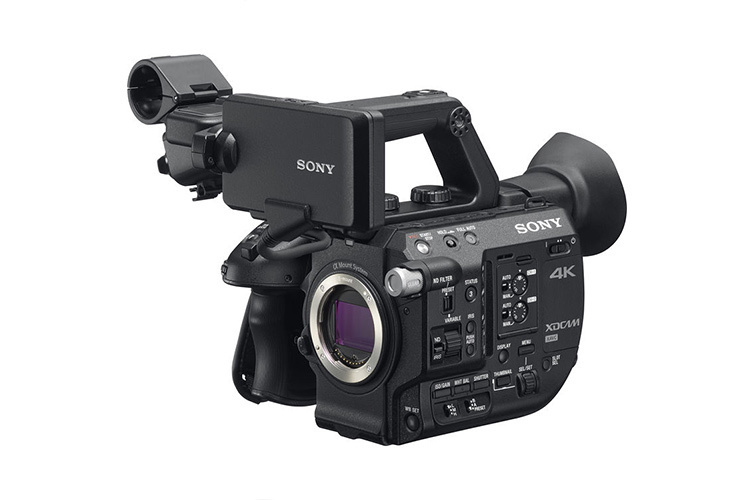 The smaller-brother to the FS7, it’s been a favorite for documentary shooters and for people who want to mount a smaller, lighter weight camera to gimbals, cranes, and other accessories without needing additional support or upgrading to a larger version. 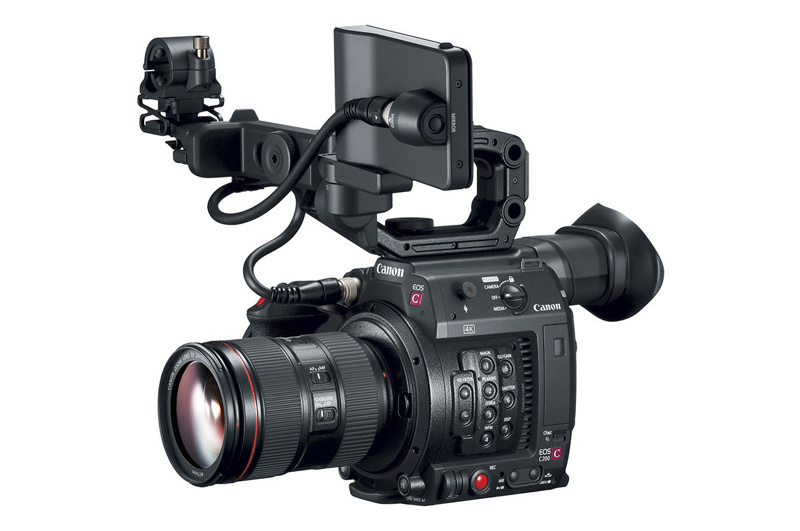 The handling of the FS5 does change from that of the FS7, as it is much more of a cradle-style holding like the Canon C-series. It includes a viewfinder too, if you’re into that. It has an electronic variable ND filter built-in, which is sweet for outdoor shooters. The recording format isn’t as robust as the FS7, but if you’re not concerned about delivering commercial, high-end results, this might not matter to you. A larger package than the FS5, you can actually operate the FS7 from your shoulder right out of the box (with the right lenses). That alone will make it attractive to some, as upgrading other camera systems with something like a Zacuto Recoil rig will likely add at least $1,000 to your cost. Like the Mark 1, you’ll get 4K up to 60fps and 180fps at HD, so for special slow motion shots, this will be a great choice. XAVC-I is a great codec for your 4K. 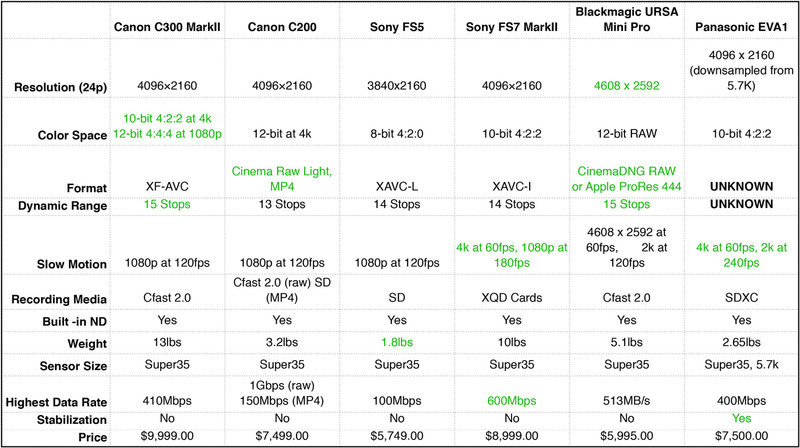 With the price tag on the higher end of this comparison, you might look at the C300 Mark II and try to decide which body type and color profiles better suit your needs. Blackmagic have been chipping away at the pro video camera market for a while now, and with their latest camera I think they have finally delivered something really worth checking out. With CinemaDNG and more flavors of ProRes than Baskin Robbins has flavors of ice cream, the URSA Mini Pro packs a punch. An assortment of physical dials and buttons puts controls at the user’s fingertips, instead of hidden beneath layers of a menu. You’ll have to buy a battery kit to use it in the field, so don't forget about that when figuring out cost. A shoulder mount kit will add more as well. If you haven’t yet used a Blackmagic system, it’s worth checking out, maybe even renting for a test run before going all in. Panasonic EVA1 5.7K - $7499? This camera is still a bit of mystery, as it really only exists on paper at this point. It boasts decent specs that are comparable or even better than some of the other cameras noted here, except for maybe the URSA Mini Pro. Only time (and reviews from users) will tell if the dual native ISO feature will prove this camera to be a champ in low light or not. Dynamic range is still an unknown too. 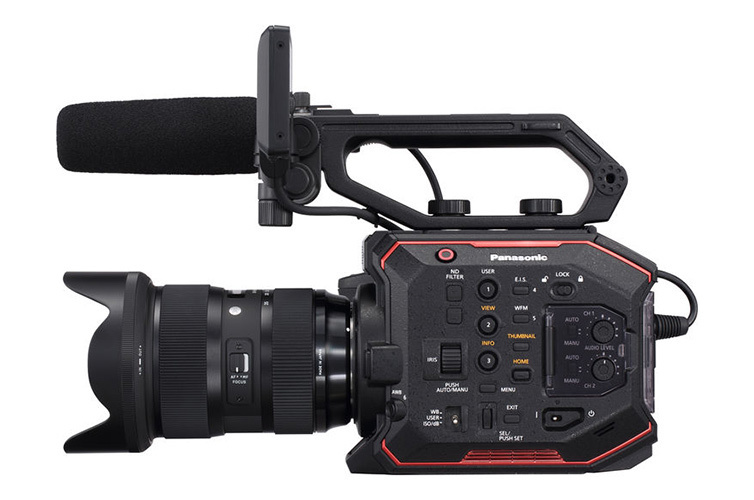 Unless you’re a Panasonic fan, you might not bother waiting for the EVA1 to be released into the wild, but with other cameras that could potentially see an update soon, you might want to sit tight and rent for a bit longer before swiping your credit card on a camera purchase. Even though it’s been around a bit longer than the other entries on the list, the C300 Mark II would still be my choice if I had to buy today, right now. It has a proven track record, I have Canon glass, and easily pairing it with a C100 as a B-camera is appealing to me. It's unfortunately the most expensive choice. 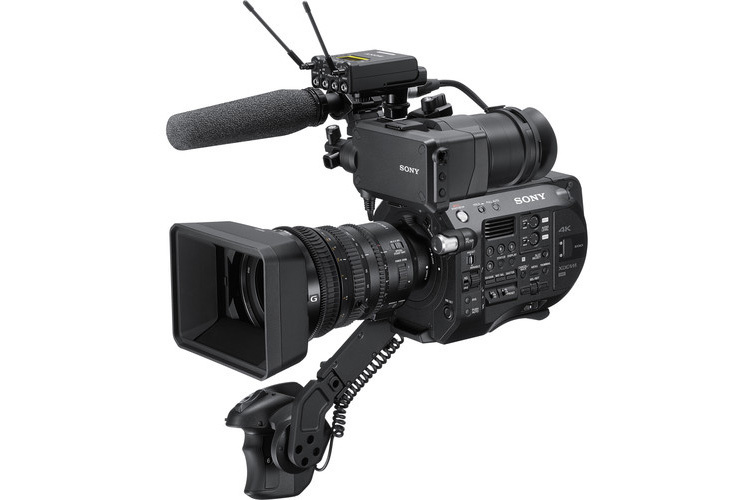 For documentary and interview shooters, I’d suggest the FS5/FS7 combo. They would make a great two-camera pair for interviews, with a robust A-camera in the FS7 and a smaller, mountable FS5 able to go on a Ronin or slider with relative ease. The FS7 works well for running and gunning with its shoulder mount too. 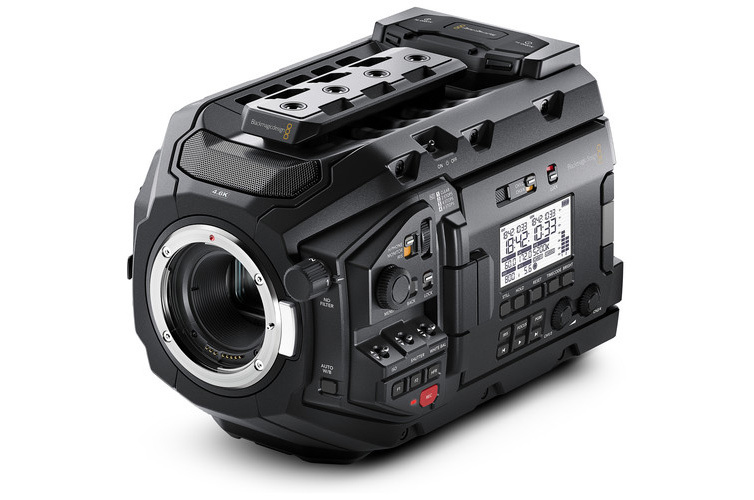 For filmmakers, I’d suggest the URSA Mini Pro. All of the options needed for a compressed or gradable raw image, lots of dynamic range, all in an affordable package. Disagree? Tell me what your choice would be and why in the comments below. Last month Sony ran a $1K rebate + free Metabones + BP-U60 battery (that's an additional $650 in essential accessories). This made the FS5 a total bargain for just $4,750, so I pulled the trigger. Such a little beast this camera is! Coming from A7Rii and A7Sii the FS5 is everything I was missing and is just such a joy to use... no more overheating, searching for buttons, or piling on NDs. Codec is so much stronger, especially in internal 1080p. Slow-motion is probably the best I've ever used. As I already had most of the G/GM, Batis, and Loxia glass and SmallH 502, this thing was ready to shoot out of the box. Down the road I plan the RAW+Atomos upgrade, but for now there's not much missing from the camera. Highly recommend for anyone already bought into Sony's e-mount system looking to upgrade to a true-video oriented body. FS7ii at 10 lbs? What??? My FS7 mk I is just a wee bit over 6# and that's *with* handle, battery, cheese plate, tripod plate, and Metabones attached. No idea how 10# got there. would be interested to see the price of video/film camera in constant dollar over time, it is as if video cameras are the only digital device that does not follows moor's law (especially for price). Errr... why is C300 Mkii ahead in colour space? 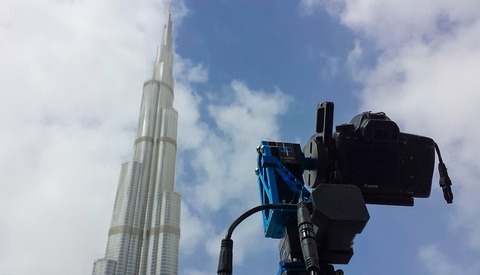 Ursa Mini Pro shoot P12bit RAW internally (can do Prores as well). Lossless RAW is definitely more data than Prores, they should be tied at the least.